Joanna and her Amazing Technicolor Interwebs: I Could Overdose on Cupcakes! My brother-in-law pointed out that I didn’t mention snacks in my dining post. 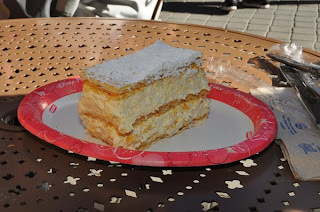 I thought I didn’t have time or room on my blog for that, but I’m ahead on my posts, and the snacks at Walt Disney World are truly incredible! For my non-Disney readers (if I have any left at this point), when you get the Disney Dining Plan, the DDP, that Kyle and I are using, you get one counter service, one table service, and one snack credit. That means you can eat a fast food type meal, a sit-down meal, and get a snack each day. I love the snack credit because the snacks are things I might not spend $4-5 on normally, but when it’s included, I’ll totally go for it! 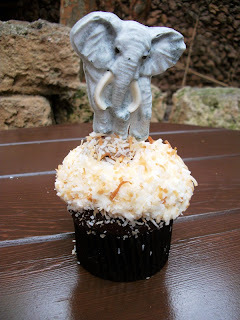 This cupcake comes in the only size Walt Disney World knows how to make: ginormous! This chocolate cupcake with coconut and gobs of icing comes complete with an “extra” snack on top: a white chocolate lollipop. I'm not sure what the dollop of stuff is in the middle of the icing, but it looks like more coconut, so I'm all about it! 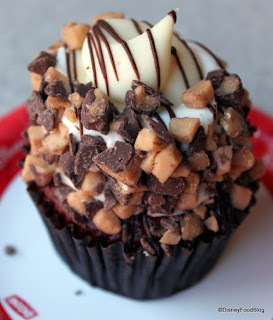 I skipped this cupcake during the last trip because it has Heath bar pieces on the outside. Then I got home and read that there’s a dollop of cheesecake INSIDE the cupcake! Oh yeah, I’m going to need to try that! Those who know me know I *love* German Chocolate, so it should come as no surprise that I want to try this HUGE cookie. Last trip I bought one, brought it back to my room, and then never felt like eating it. Sometimes you end up with so much food that you end up not wanting to eat anymore. This cookie totally fell victim to that scenario. 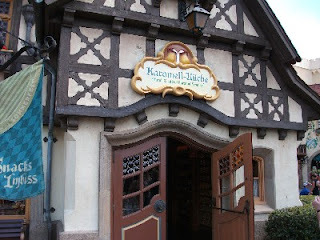 Amazing to most WDW Fans, but I’ve never tried one of these fan favorites. You have to know that I am slightly allergic to pineapple (sores in mouth, no breathing issues), so I try to stay away from it even though I really do like it. 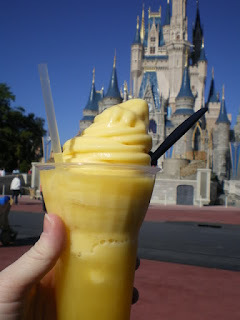 However, this pineapple soft serve in pineapple juice is a tempting treat, so I’ve decided to try it this trip. Besides, Kyle loves them, so if I don’t like it, he can have two! There are some treats from the Boardwalk Bakery, the Cheesecake Brownie and Strawberry Shortcake Cupcake, that I’d love to try, but I think that will be for another trip. I also want to bring home a few boxes of the new themed retro candies they’re now selling. 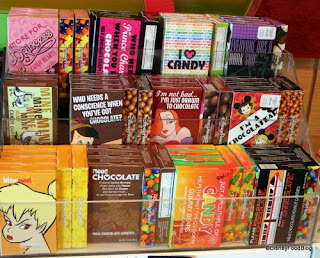 A few I’d like are the Who Needs Prince Charming, Everyone has a Dark Side, and Drawn to Chocolate. 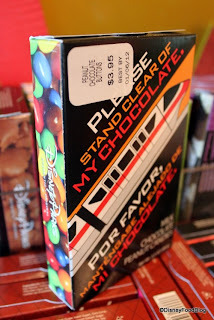 Might have to get the Monorail ones just because I love the box! 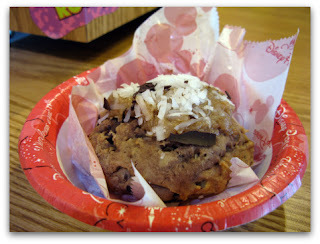 What treats are your favorites from Walt Disney World? Please return on Friday to help Kyle and I make one last decision for our trip! We’re leaving part of our plans up to you! as i sit here eating my "leftover" lunch (spaghetti and watermelon) I'm drooling over the snacks in this post and the food in the previous post. Make sure and take pictures of the actual items you end up getting! They are art pieces! Yum Yum Yum!! Can't wait to read all about your trip! Thanks, AJ! :) I feel like a celebrity just commented on my blog! Thanks for stopping by! :) I'll definitely be trying to snap some food pics on this trip. Never been on an adults-only trip, so I should have some fun posts when I get back.